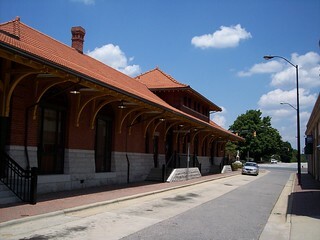 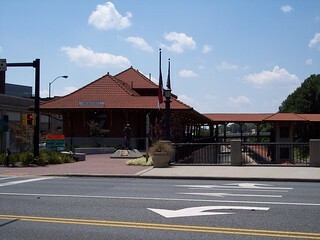 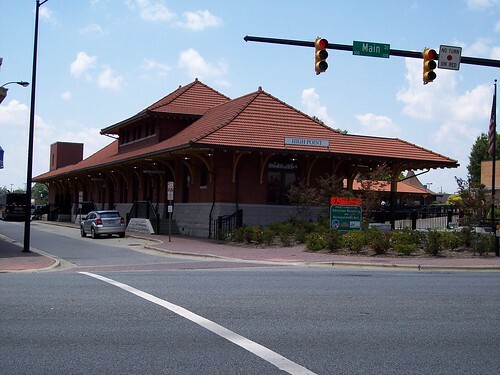 The High Point Amtrak station. 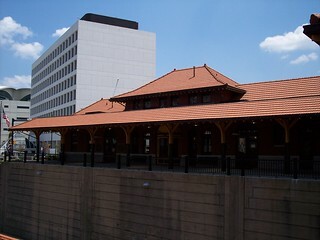 The tracks and station platform are in an open cut behind the station. 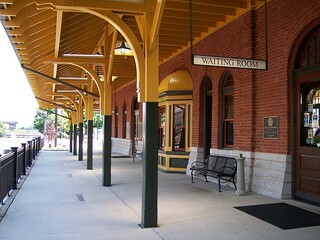 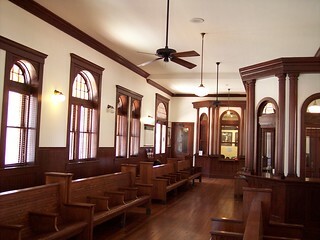 Inside the High Point station. 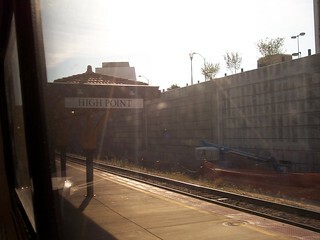 The platform at the station level and down at the track level.